Every day, thousands of travelers take to the skies with their pets for a variety of reasons. In the United States, over 2 million animals fly on planes each year. Flying your dog, cat or other critter can be complicated, expensive and stressful. If you are planning to fly with your pet here are a few helpful tips. There are three basic options for pets and air travel: fly with your pet in the cabin; check your pet as baggage, or fly your pet as cargo. Flying with your pet in the cabin may be your best choice if you have a cat, small dog or other small pet. The maximum weight depends on the airline, but typically tops out at 20 to 25 pounds, including the carrier, which must be able to fit under the seat in front of you. It is important to reserve space for your pet as early as possible since most airlines limit the total number of pet carriers per flight as a first come first served basis. Some airlines offer the option to check your pet as baggage in an approved carrier; fees vary depending on the airline. Your pet flies in a pressurized and climate-controlled compartment in the lower portion of the plane. You need to check weight limits and breed restrictions. 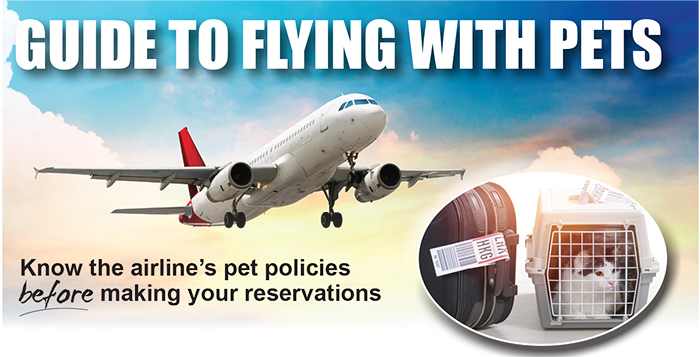 Check restrictions before you book, and tell the airline you plan to check a pet. The other option is to fly your pet as cargo. Flying a pet as cargo is generally more expensive than other options. Depending on the airline, the cost will be tied to the size of the carrier or the weight of the pet and carrier, as well as the length of the trip. If you’re flying your pet as cargo, you can use a professional pet shipping company. It is important to check the airline’s pet policies before making your reservations. Airline pet policies change frequently. 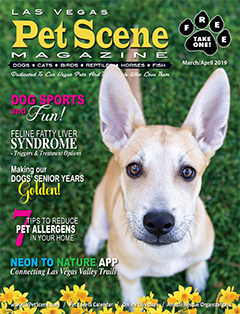 The Air Carrier Access Act requires airlines to permit a service animal that performs specific tasks or gives emotional support to accompany a passenger with a disability. Recently there has been an increase in the number of problems with emotional support animals on flights. Many airlines are tightening their policies regarding comfort or emotional support animals. As of March 2018, Delta and United require extra documents from passengers flying with emotional support animals such as a signed veterinary health form, current vaccination records and confirmation that the animal has been trained to behave in public. Almost all airlines ask for a letter or signed form from a certified mental health professional. If you plan to fly with a service or emotional support animal it is crucial that you find out from the airline what forms and documentation they require and the time frame for submitting the forms.